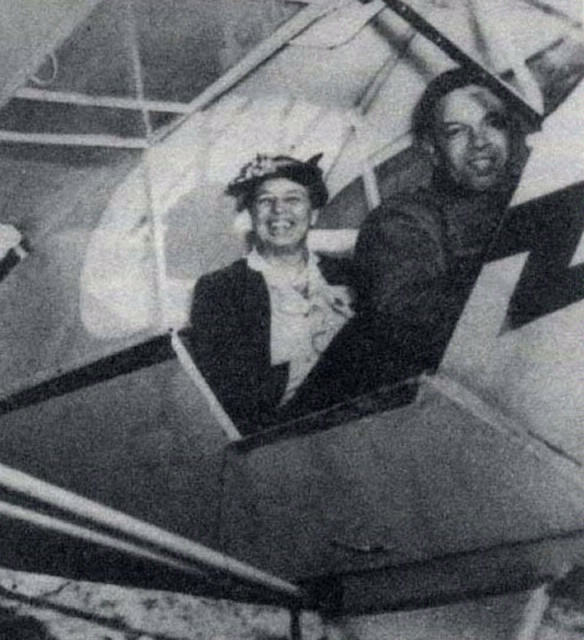 Amelia Earhart and Eleanor Roosevelt flying from Washington, DC to Baltimore in 1933. 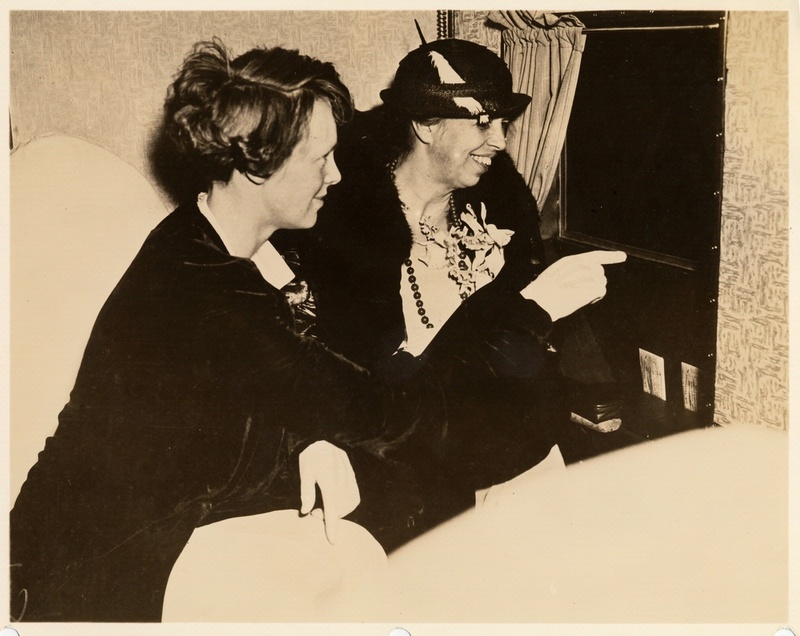 Amelia Earhart and Eleanor Roosevelt flying from Washington, DC, to Baltimore in 1933. 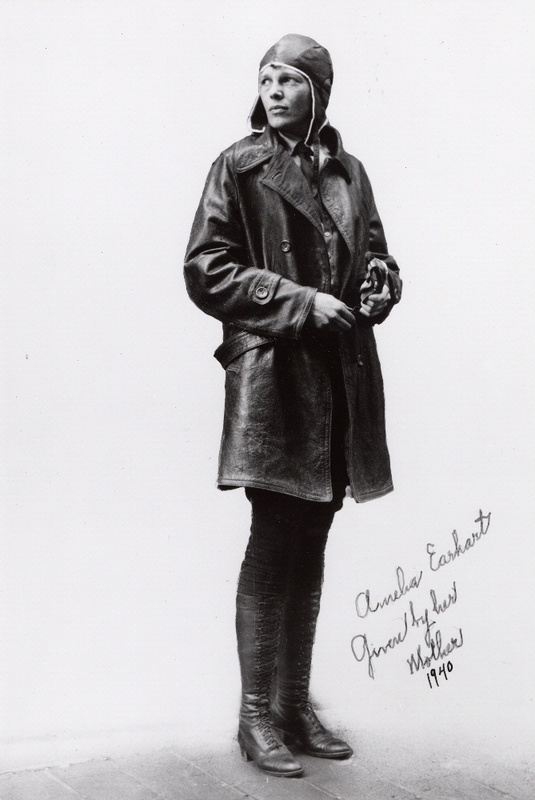 Both Earhart and Roosevelt (who had applied for a student pilot license) briefly took the controls of the Eastern Air Transport Curtiss Condor. The two shared strong commitments to the women’s and world peace movements. 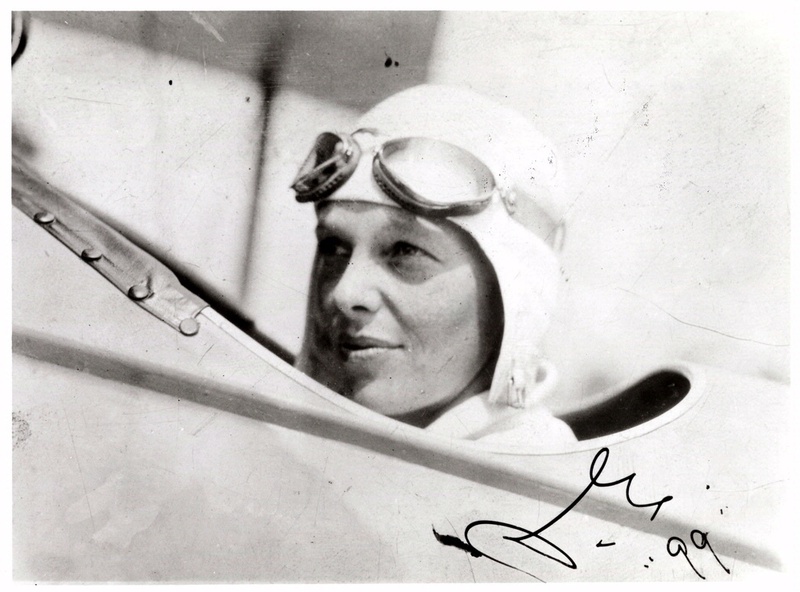 Eleanor Roosevelt took many flights as First Lady. Sometimes she flew in a plane built to carry President Roosevelt, a reconfigured bomber called the Guess Where II. After reviewing the plane’s poor safety rating, the Secret Service decided it was too dangerous for the president’s use. However, they felt it was fine for the First Lady.